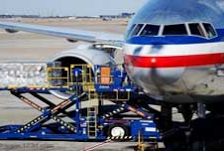 We can collect the freight from your door and deliver to the airport. On arrival at destination the consignee is responsible for collecting the goods and paying any local handling and clearance charges. We have a range of services that can reduce the cost of excess baggage. We can collect and deliver to the airport for you. This is a fully inclusive door to door service. All clearance and delivery charges are prepaid in the UK. 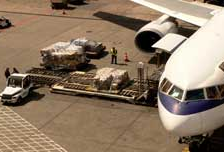 We provide a domestic and international courier service. We mainly provide door to door for such things as documents, sample shipments. This is an express services. This greatly reduces the freight costs as the space is pre-booked in advance. It is longer than your standard express service, but it will be cost effective if you are not in a hurry. 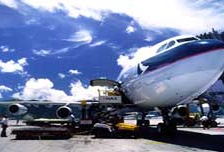 Your freight is booked directly with the Airline and allocated its own Master Air Waybill. This service is very fast and reliable. We can also provide a custom clearance service for imports to the UK. If you require any further details please don’t hesitate to ask our team on 0161 882 0666. If you would like to track your air shipment, you can do so, by going to our tracking page and picking the Airline that the shipment went with and simply enter the Airway Bill number to get full tracking details of your shipment. 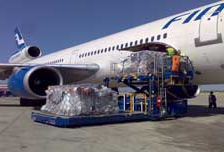 We can assist with packaging on road, sea and air services. Whilst we do not have the facilities to hand pack boxes we can provide high quality cardboard boxes and crates in standard sizes or made to measure. Please CONTACT US for more details.